Pure vanadium is a greyish silvery metal, and is soft and ductile. It has good corrosion resistance to alkalis, sulphuric acid, hydrochloric acid, and salt waters. The metal oxidizes readily above 660°C to form V2O5. Industrially, most vanadium produced is used as an additive to improve steels. Table: basic information about and classifications of vanadium. 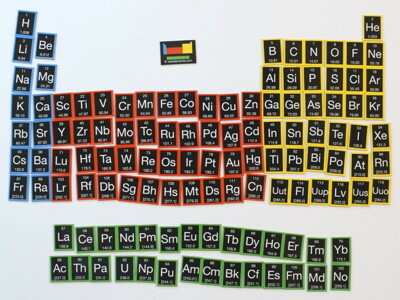 Small and large samples of vanadium foil like this can be purchased via their web catalogue from Advent Research Materials via their web catalogue. Vanadium was discovered by Andres Manuel del Rio and Nils Sefström at 1801 in Mexico and Sweden. Origin of name: named after "Vanadis", the goddess of beauty in Scandinavian mythology. The discovery of vanadium happened "twice". The discovery of vanadium was claimed first by Andres Manuel del Rio (a Spanish mineralogist) at Mexico City in 1803. He prepared a number of salts from a material contained in "brown lead" (now called vanadite, from a mine near Hidalgo in Northern Mexico). He found the colours reminiscent of those shown by chromium, so he called the element panchromium ("something which can take or have any colour"). He later renamed the element erythronium ("red") after noting that most of these salts turned red upon heating. It seems he withdrew his claim after a Frenchman, Collett-Desotils, disputed his claim, and it was only 30 years later that it was shown that del Rio's work was, in fact, correct. Iin 1831, Nils Gabriel Sefström (a Swedish chemist) was working with some iron ores and was able to isolate a new oxide. This lead to the element being named in honour of the Northern-Germanic tribes' goddess Vanadis (Vanadis, a by-name of Freya referring to beauty and fertility) because of its beautiful multicoloured compounds. In the same year, Friedrich Wöhler came in to possession of del Rio's "brown lead" and confirmed del Rio's discovery of vanadium, although the name vanadium still stands rather than del Rio's suggestion of erythronium. Metallic vanadium was not made until 1867 when Henry Enfield Roscoe reduced vandium chloride (VCl3) with hydrogen gas to give vanadium metal and HCl. Isolation: vanadium is available commercially and production of a sample in the laboratory is not normally required. Commercially, routes leading to matallic vanadium as main product are not usually required as enough is produced as byproduct in other processes. In industry, heating of vanadium ore or residues from other processes with salt, NaCl, or sodium carbonate, Na2CO3, at about 850°C gives sodium vanadate, NaVO3. This is dissolved in water and acidified to give a red solid which in turn is melted to form a crude form of vanadium pentoxide, "V2O5". Reduction of vanadium pentoxide with calcium, Ca, gives pure vanadium. An alternative suitable for small scales is the reduction of vanadium pentachloride, VCl5, with hydrogen, H2, or magnesium, Mg. Many other methodsare also in use. Industrially, most vanadium is used as an additive to improve steels. Rather than proceed via pure vanadium metal it is often sufficient to react the crude of vanadium pentoxide, "V2O5", with crude iron. This produces ferrovanadium suitable for further work. 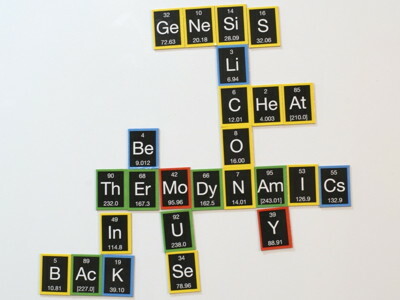 WebElements now has a WebElements shop at which you can buy periodic table posters, mugs, T-shirts, games, fridge magnets, molecular models, and more. Copyright 1993-2012 Mark Winter [The University of Sheffield and WebElements Ltd, UK]. All rights reserved.